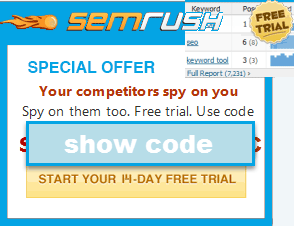 Try The Coolest Keyword Research Tool Today! This tool is only accessible to logged in members who have registered a free account. When we made this tool publicly accessible without registration some scraped it excessively, so we are forced to require loggin in. Setting up a basic account is free and takes less than 1 minute. If you have already logged in and are still seeing this version of the page, please click here to refresh this page so it knows you have just recently logged in & authenticates your account. Clean up your keyword lists using our keyword list cleaner. Keyword - the word that was searched for, or other related terms returned by the tool. Clicking on a word in this column will perform a new keyword search using that term as the seed keyword. Monthly Searches - estimated number of monthly web searches for the term in the United States across Google, Bing & Yahoo! Google - the daily search count estimate for Google searches on that term across the United States. It also contains links to Google's US & UK search results for that particular keyword term. Bing + Yahoo! - estimated daily US searches for a term across Bing & Yahoo!. This column also contains links to the Bing & Yahoo! search results for the associated keyword. CPC - estimated keyword bid price for the associated keyword if you were to bid to buy traffic on this term on Google. Please note ad auction prices vary widely over time due to seasonality & there are also other issues which impact click pricing. For example, on navigational searches like [Amazon] the associated official website would generally get those clicks quite cheaply, but if a third party tried to bid on that term they would pay a relatively higher cost per click due to their lower relevance to the term. In some cases Google makes the cost of bidding on competing brand keywords prohibitively expensive, which in turn skews our CPC estimate high. It is also worth mentioning that on navigational search queries most people will visit the desired/intended site, so ranking #2 or #3 will drive limited search traffic. 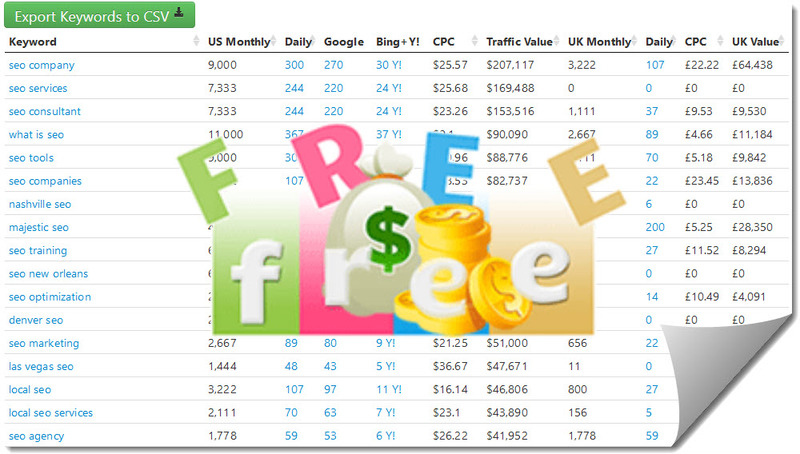 Monthly Value - this column simply multiplies the CPC by the monthly search volume to generate a relative traffic value. In most cases an estimated traffic value like this would need to be divided by 5 or 10 to figure the actual profit potential to a publisher operating in that market. Please note the advice mentioned in the above CPC section when considering navigational search terms. Also note these metrics are for the United States market. Most foreign markets have far less efficient ad markets & thus lower ad prices. UK Monthly Searches - estimated number of monthly searches in the UK. UK Daily Searches - monthly search estimate divided by 30. UK CPC - similar to the above CPC metric, but relevant to the UK market rather than the US market. UK Monthly Value - Similar to monthly value above, but for the UK market. Offers a CSV export option which allows you to export the data in the interface, along with automatically formatting the keyword lists across the various PPC ad matching types: exact, phrase, modified broad, broad and negative keyword match. Offers rough suggested daily search volumes by market for Google and the Bing Yahoo! search network. Offers a broad/ fuzzy matching search feature, which takes advantage of stemming to return related word forms. Links to various vertical community sites to let you know if people are talking about your topic on those sites and what types of resources they are referencing. If you use pay per click marketing you are probably best off using Google AdWords and Bing Ads over the smaller PPC engines due to typically higher click quality and faster feedback loops. Geordie Carswell offers a free 10-day Google AdWords course. Wordtracker offers a valuable subscription based keyword research service. Wordtracker also sells lists of top search terms at various price points and depth. Dan Thies's SEO Research Labs offers professional keyword research services and this free 75 minute keyword research video. Tools can only provide helpful information and estimates. Don't let tools make your mind up for you! Don't expect precise quantitative analysis from keyword tools. Almost every market has some seasonality to it. Use tools for qualitative and relative analysis. You can see which word is likely to be more important and roughly by how much without knowing precisely how many people will search for it next month. People tend to typically use language in similar patterns. If there are 14,000,000 search results for ["car hire"] and only 2,000,000 pages for ["hire car"] then odds are car hire is a more common search term. Since we estimate search network traffic, any sampling error is amplified due to the difference in traffic that may happen across different locations, search services, and time (e.g. seasonality). Why is There a Panda in Your Logo? Further, after Google rolled out other algorithms which aimed to better understand searcher intent (like Hummingbird / Rankbrain) a person no longer needed to include related word variations as much to be able to rank a page for many conceptually related searches.